That's what legendary actor James Earl Jones said when he came on stage to accept his award for outstanding work and extraordinary contribution to theater at the American Theatre Wing's annual gala. The black-tie crowd gathered last month in New York's Plaza Hotel Grand Ballroom. "I am so...," he declared in that unmistakeable commanding voice. He paused before softly adding "old. I'm so old that my gratitude for the American Theatre Wing embraces more than the thanks for this night's wonderful celebration. I go way back." He is 84, but he might have been the only one counting. Considered one of the world's finest actors, the voice of Darth Vader has been on Broadway since the 1950s, starring in plays from the Great White Hope and Othello to Fences and You Can't Take It With You. And he continues to dazzle audiences. Not one to slow down, James Earl Jones is back on Broadway appearing seven times a week with Cicely Tyson in the Pulitzer Prize-winning play, The Gin Game. "Thank you for giving us the courage to attack a role, and not simply enter it," said Samuel L. Jackson, who described how James Earl Jones inspired him when he first arrived in New York in the 1970s. And George Lucas who cast him as the voice of Darth Vader in Star Wars shared, "I knew the voice had to be very, very special...He created, with very little dialogue, one of the greatest villains that ever lived." 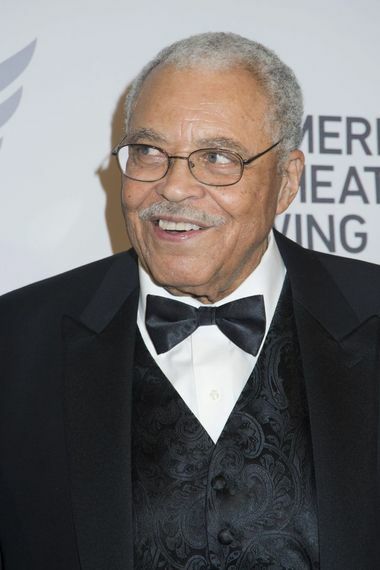 James Earl Jones, who has won two Tonys, three Emmys, a Golden Globe, a Grammy and an honorary Academy Award, revealed that he was a graduate of the American Theatre Wing's Professional School. "They taught us not to put ethnic or gender limits on the characters that we studied," he said. The starry crowd shared their thoughts about the great actor who had a stutter for most of his childhood until he got to high school. While he has one of the most recognizable voices in the world, (Did you know he's the man who says, "This is CNN"? ), he says that he still sometimes stutters. But he never let that stop him. Click to this Parade.com story to read about the impact James Earl Jones had on these actors and how he helped inspire them to live their dreams. 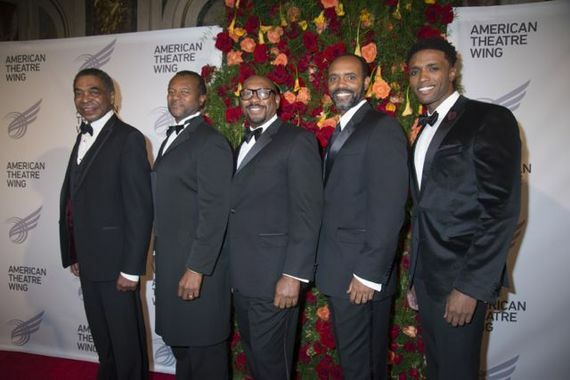 Also see photos from the event along with a moving video performance from Norm Lewis.